Every woman's dream is to save the time spent in the morning by the mirror using make-up and hiding the natural facial imperfections. Permanent make-up, or more correctly, semi-permanent make-up, is also called cosmetic tattooing when used for creating or perfecting eyebrows, eyeliners or lips and beauty spots. Permanent make-up is a new method that replaces decorative cosmetics with the application of natural pigments with special devices to the upper layer of the skin. Imagine that - make-up always perfectly done, natural and without any work. This adds to self-confidence 24 hours a day! In Beauty Shape, we work exclusively with Gaube's - professional products from Austria. This guarantees absolute precision and high quality. Thanks to the wide range of colors and the quality of natural pigments, makeup has a very natural look. Gaube is an Austrian cosmetic brand with a rich tradition, ethics and working philosophy, believing in "Quality High European Standards". Great emphasis is placed on the professional training of professionals who make permanent make-up. Every specialist who works with Gaube's is a certified professional. JThe precision is the pillar of a perfectly beautiful permanent make-up. With permanent makeup technology, you can adjust - for example - size, density and width of the eyebrows (in the case of missing eyebrows it can be modeled-new completely). Eyes are highlighted by eye lines - their shape can be adjusted and their asymmetry can be overcome. The size, color and shape of the lips can also be adjusted. Each technique of permanent make-up for lips is applied individually based on the client's face characteristics and the desired result. Our clients, especially ones over 40 years, face the problem of a fuzzy, blurred lip contour. For these cases we have a technique that will emphasize the shape of their own lips. The make-up-master and the the client will choose the colors for the tattoo. Of course, natural shades are more appropriate, which should coincide with the natural skin color of the lips. The contour will only emphasize the already beautiful lips, making them even more seductive. Visually increase the volume of the lips and make them more vivid. Contouring in combination with shading resembles the effect of a slightly erased lipstick, since the middle of the lips is not stained with pigment. The contour of the lips is drawn with dark paint. Usually the color of the contour and feathering are selected depending on the wishes of the client. This technique looks good at any age. It will naturaly emphasize the look and outline of your lips. 3D lips tatoo makeup requires the use of several shades (most often 5). The make-up artist achieves the 3D volume effect by highlighting the contour of the lips with a darker pigment, and the entire surface with a lighter pigment. This technic is considered difficult and can take upto 3 hours. Due to the three-dimensional effect, it is possible to mask various aesthetic flaws, in particular the asymmetry of the lips, inaccurate contour, insufficient or excessive completeness, pallor. Sometimes, it takes two sessions to perform permanent lip makeup using the 3D technique. The first one marks the contour of the lips, and during the second the entire surface is filled. The aquarelle technique of permanent makeup for lips requires no contouring and is aimed at an ordinary change in the color of the lips. The color pigment of natural muted shades is shaded across the entire surface of the lips, creating an imitation of glare, so there is no effect of felt-tip lips or a bright transition. Aquarellelips is a new technique that gives you the opportunity to achieve a smooth tone with a natural tint chosen by the professional for your color type exclusively. Others may think that you put on a gloss or a slightly pink balm. Suitable for women of all ages, who want to decorate pale lips with a more juicy tint. This option of permanent makeup is suitable for emphasizing the lips without any strong change in its shape, volume or color. The surface of the lips is shaded as close as possible to the natural, therefore the master performs work with pigments of natural shades with an inconspicuous contour. 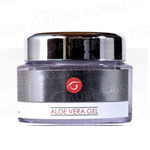 Tint paint is applied close to the base, so the permanent makeup pigment application remains almost unnoticed by others. Such a lips tattoo technic is suitable for clients, who want to correct a slight uneveness of color, and make the lips slightly more expressive and brighter, without changing their natural shape. This type of the semi permanent lip tattoo is chosen by women who seek to completely change the shape and lip color. Pigment is selected in the color that is familiar to you and the PMU artist fills the entire surface of the lips, creating the effect of applied lipstick. With the right choice of color lips become voluminous and alluring. Thanks to this technique of lips permanent makeup, you no longer have to use lipstick daily, instead a glamorous look is achieved. Whether you simply want to add a youthful flush of colour to faded lips, improve the definition of your lip line, or even have a fully redefined lip contour, it is all achievable with permanent makeup cosmetics. Individual shades can be blended to achieve the ideal shade that suits you best. (It is recommended to bring your own lipstick or pencil according to which we can choose the color). If you are thinking of having your lips tattooed then you can choose between having the lip liner and Aquarel lips (blend colour procedure) or the 3D full lip colour procedure. At first, we will pre-shape your lips in a color tone appropriate to your skin type and balance any irregularities in your lips. Our comprehensive range of colours helps to achieve the perfectly coloured full lips whilst delivering your desired subtle or dramatic lip tint. Enhance your pout with a natural looking tattoo that will save you time and the hassle of applying lipstick or lip liner every day. The Permanent lip tattoos procedure takes about 2 hours and the next correction about 1 hour. The colour intensity will fade up to 40-60% after the first treatment, which is why we recommend a colour touch up 4-6 weeks later. How long can I expect my permanent lip tattoo/liner to last? Permanent makeup procedures are considered permanent because pigment is tattooed into the upper reticular layer of the dermis and cannot be washed off. Permanent Lips does fade and is expected to last 2 to 5 years. This varies from person to person because skin type, diet, genetics and environmental factors can all contribute to how long the pigments will be retained. If you would like your permanent make-up to looks optimal or you would like to make little changes in the shape or colour, we recommend to make a correction to 3 years after the first treatment. Lip tattoos take between 3 and 10 days to heal, depending on the size and depth of the treatment. If you have a history of cold sores (herpes) and are scheduling a permanent lips we advise you to use oral anti-herpes medication that can be obtained from a pharmacy. Use the preparation 1-week prior and 1-week after your enhancement 5 times a day to reduce the incidence of outbreak by 50%. There will be little edema after the treatment, we recommend dry cooling for the area. Generally, colours appear darker and more intense immediately after the procedure. This will fade within a few days for a subtler look. Lips may swell a bit after being tattooed, but this will go away shortly. Stropls could stay for 2-4 days before their peeling begins. After their spontaneous drop-out (in no case grinding and peeling - this will damage the integrity of the pigment), the final shape of your lips will appear. We work exclusively with professional pigments from Austrian brand Gaube, which has the highest European standards for quality of its products. We offer a wide variety of colours. Please bring your lipstick with you, so we could use for choosing the right colour for you..
New permanent lips techniques! Aquarel lips and 3D full lip colour. Unique technology allows shadowing of lips without contour. Lips are colored to make the effect as natural as possible and the lips look as if they were painted with shine. Lip Blend gives you that a 'smeared' lip stick look. This method involves creating a contour of lips and shading lips into a no-border shape. Lips are then optically larger. This method allows you to adjust the size and shape of your lips. Why use permanent makeup services in BEAUTYSHAPE? 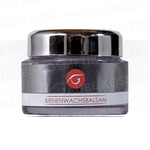 We work exclusevely with European color (pigments) from the professional Austrian permanent makeup brand Gaube. All our specialists are certified and have gone through a number of professional training. If you are not sure, which treatment suits you the most, you can book a free consultation with our professional. What is a general step by step of Permanent makeup treatment in BEAUTYSHAPE? We start with a consultation, where we discuss your health and your goals for PMU. After filling in a consent form, we will make a “Before” photo. Based on client’s facial features and skin type, our PMU artist will draw a penciled look incl. shape, size and density. Also we will give you our professional advice on which colours will look best on you. Only after client’s approval, we will start the PM implementation by applying a numbing cream, so that the treated area starts to lose sensation. After treatment is done, we will do an “after’ photo and give the aftercare home instructions. Who benefits from PM cosmetic tattoo? People who are always in a rush or enjoy sports, swimming or the beach and want to look great every day in no time. Those suffering alopecia and hair loss from medical treatment. Those who suffer bad eyesight who have trouble applying makeup.